A reading nook, or book nook, is simply a cozy place for kids to read or enjoy books at home. When I was looking for ideas when my son was a toddler, I turned to Pinterest. The problem I came across was most of the ideas would have required home reconstruction! There were some beautiful images of book nooks under staircases, in windows sills, and in customized closets. Beautiful, but not quite the simple (and budget friendly) ideas I was looking for to create a reading nook for toddlers and kids. 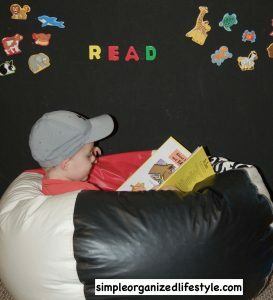 Instead, we created 5 simple reading nook ideas for toddlers and kids that were simple, quick and fun! 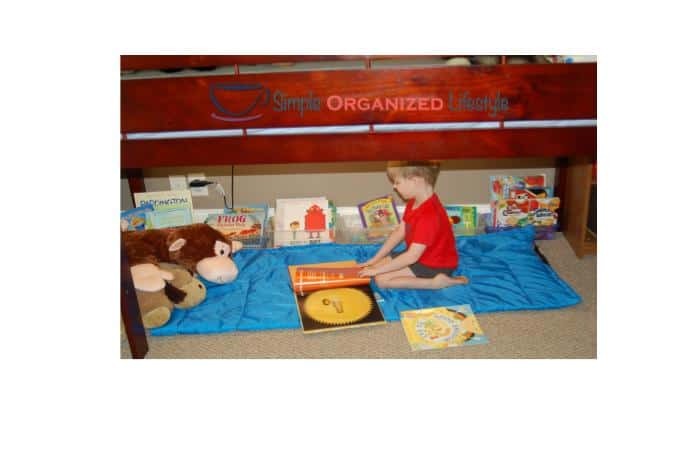 One of the places we created for reading was a bed nook under our son’s top bunk bed. The problem was the lighting under there was just not enough. Our solution- stick on LED lighting. We purchased a set for around $20.00 at Lowe’s and it gives enough light for reading. Another idea would have been a strand of clear rope lights around the area. It may or may not include an actual chair. Pillows, blankets and stuffed animals work just as well as a chair. The key ingredient to a reading or book nook is, of course, books! I’ll share our book organization system in a future post, but we have them in three different places in our home. 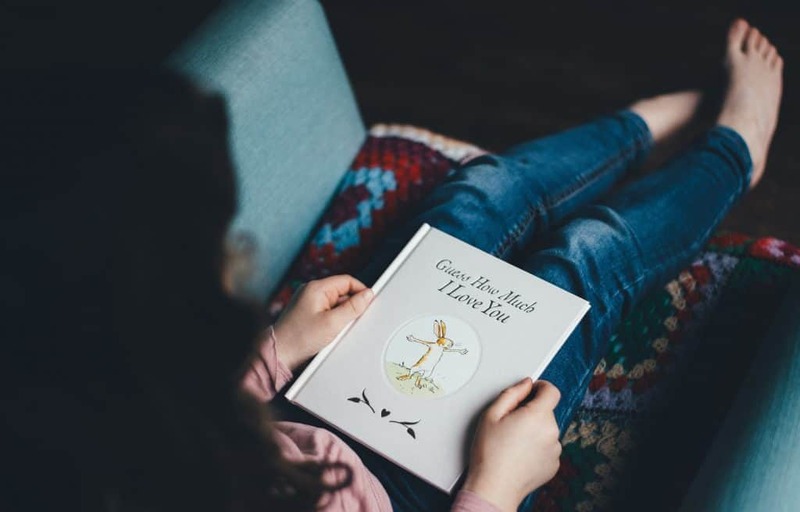 Once you have the essentials, below are five simple ideas for a reading nook for toddlers and kids. 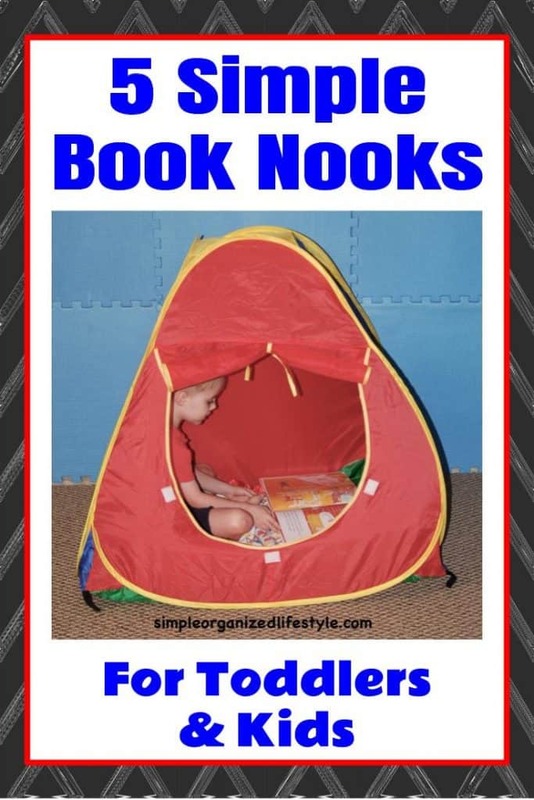 We’ve used them all at various times and they are easily portable so changing them up helps to keep our child’s interest in reading and exploring new books. Toss a blanket and pillow in a rectangle laundry basket and you have created an easily portable cozy book nook! 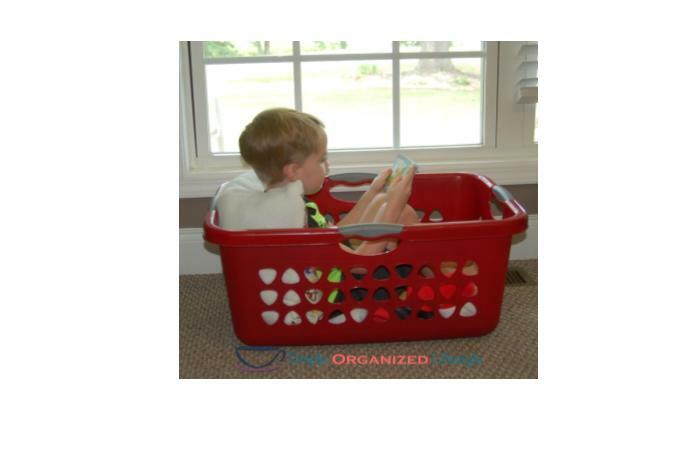 Kids love to get in and out of the basket and it’s a fun way to encourage reading. 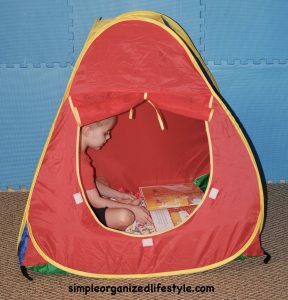 A pop-up tent makes a great book nook! This can also be created with some sheets or blankets propped up like a fort. Kids love to sink into a bean bag chair or oversized pillows. These create a cozy place to read anywhere in your home. Our son’s bed is a junior loft bed that we ordered from Amazon . He loves climbing the ladder for the top bunk and the bottom section has made a fantastic bed nook for reading. We attached a strip of LED lights for additional lighting, added a sleeping bag, some stuffed animals, and books in storage tubs. The bed would also be ideal for putting up curtains like a fort and we’ll probably do that when he gets a little older so the space will change over time. Right now, this makes a perfect cozy reading nook. A special thanks to our little bookworm and bookdog 😉 for their assistance with this post! What other ideas do you have for a simple reading or book nook for kids and toddlers? I’d love to hear what others have used! These are great ideas! Kids grow fast so I like the idea of something that doesn’t require renovation, but rather a simple age-appropriate solution like a bean bag! For our daughter, we put a few cute pillows and a small sheepskin rug in an empty corner. That’s a great idea! I agree with you that kids grow and change so fast, you could be wasting time and money on something they won’t enjoy for long. 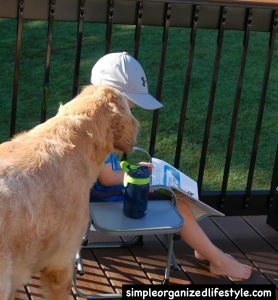 Oh, that’s awesome for kids and pets too! These ideas are super simple but I love anything to encourage reading… hoping it stays something he enjoys instead of a chore!